Most genome rearrangement studies are based on the assumption that the compared genomes contain unique gene copies. This is clearly unsuitable for species with duplicated genes or when local alignment tools provide many ambiguous hits for the same gene. 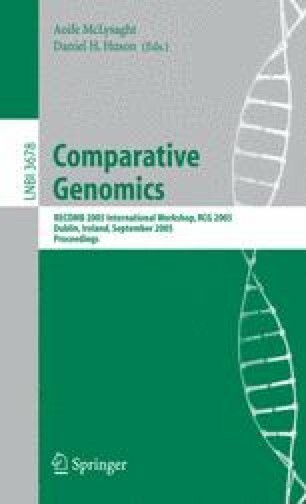 In this paper, we compare different measures of order conservation to select, among a gene family, the pair of copies in two genomes that best reflects the common ancestor. Specifically, we present algorithms to identify ancestral homologs, or exemplars  , by maximizing synteny blocks between genomes. Using simulated data, we validate our approach and show the merits of using a conservative approach when making such assignments.